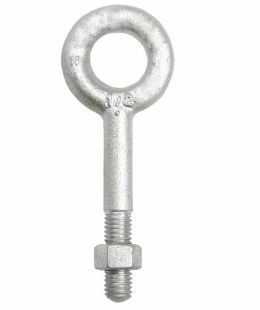 Machinery eye bolts are designed with a shoulder and rated for both in-line pulls and angular loads. 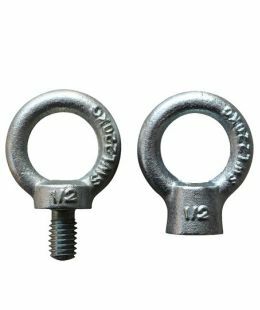 The difference between machinery eye bolts and regular and shoulder type eye bolts is that the shank and threads of the machinery eye bolt do not protrude through the base metal. 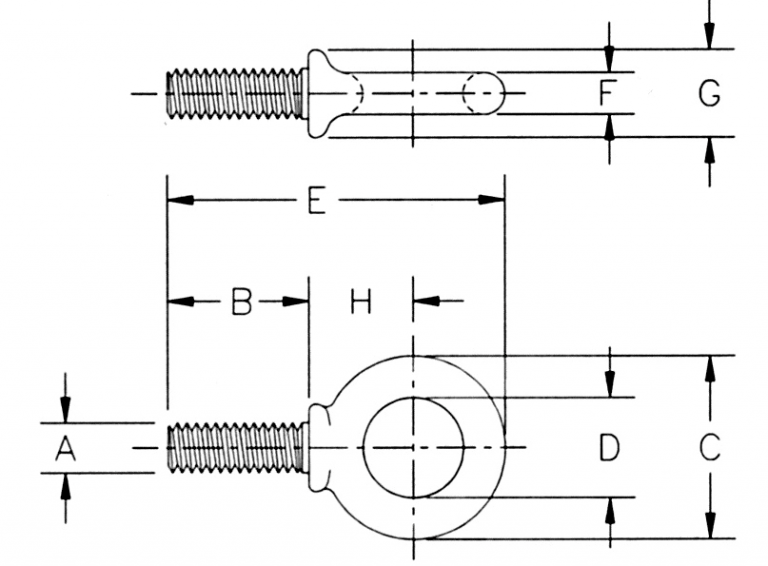 Therefore, all of the holding strength of the machinery eye bolt is on the threads. 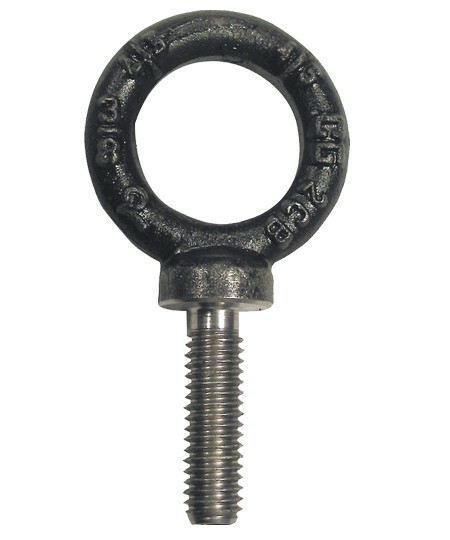 These eye bolts also meet all requirements of ASME B30.26. 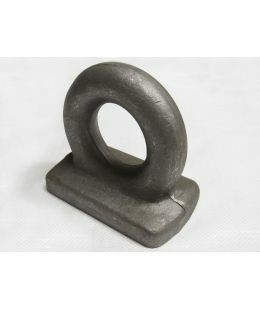 Forged Steel – Quenched & Tempered. Working Load Limits shown are for in-line pull. Loads should always be applied to eye bolts in the plane of the eye, not at an angle to this plane. Angular lifts must never be more than a 45 degree pull.